What a deliciously perfect marriage! We learned from the ArtsBeat section of the New York Times that HBO will be teaming up with the Cooperstown, NY-based Brewery Ommegang to create a Game of Thrones-themed beers. 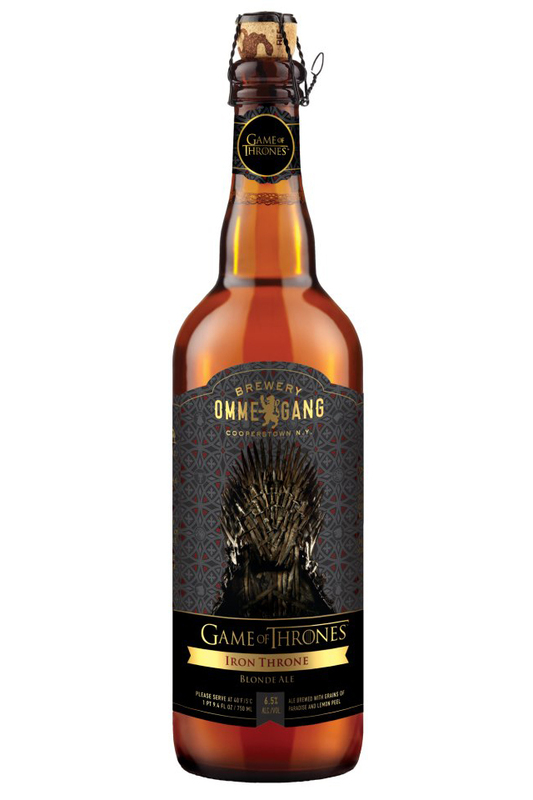 Ommegang (which hosted a great Apocalypse party last summer) is a Belgian-style brewery that will brew these beers to correspond with the themes and characters that prevail in the hit HBO series. The season premiere of the series is March 31 and along with its debut, the first beer aptly called "Iron Throne Blonde Ale," will be available for $8.50. According to the article, three more beers are planned, with the second to be released next fall. The others will follow in subsequent seasons. The Ommegang press release said, "Unlike previous efforts by brewers which were typically executed as ‘brewed under license’ arrangements or straightforward product placement pushes, the collaboration between Ommegang and HBO is focused on developing unique beers that are named and crafted to directly tie into themes and nuances of the medieval-like fantasy realm of Westeros and the surrounding kingdoms, where the competition to sit on the Iron Throne is fierce and deadly." Since Game of Thrones features not only lots of back-stabbing and drama but also some mirth and merriment, so pairing it with a tasty alcoholic beverage just makes good sense. What flavors would you want to try? Lannister Lager? Petyr Baelish Pale Ale?